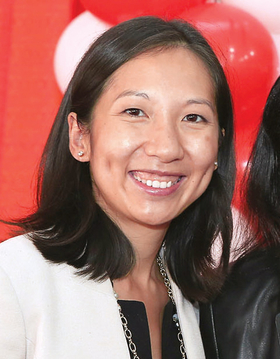 Dr.​ Leana​ Wen's​ ability to handle crises was first tested just a few months into her tenure as Baltimore's health commissioner. In April 2015, the city of more than 620,000 residents was rocked by riots sparked by the death of Freddie Gray, a young black man who died while in police custody. When looting caused 13 pharmacies to close, Wen's department helped transport elderly residents to open locations. Wen, a former emergency physician at George Washington University, oversaw the triage of injuries during the riots. She also set up mental health crisis lines that provided counseling 24 hours a day. The department also deployed teams of mental health professionals into affected areas. Those moves set Wen's reputation as one of the more forward-thinking municipal health commissioners in the country. Her agency has a $130 million annual budget and employs 1,000 people. "In local public health, there are pressing issues all the time that come up that are urgent and time-sensitive and have life-and-death consequences," Wen said. "But in order for us to really move the needle on these long-term health disparities, we also have to continue to drive innovation and be willing to do things differently." Wen, 34, has experienced several crisis situations. She was a resident in the emergency department at Massachusetts General Hospital on April 15, 2013, when the Boston Marathon bombing killed three people and injured more than 20. Dozens of patients were taken to Wen's hospital. Over the past several years, as the country experienced a dramatic rise in the number of people dying from opioid overdoses, Wen has taken steps to curb the epidemic's impact on Baltimore. In 2015, she was among the first city commissioners to issue a blanket prescription for the opioid-overdose reversal medication naloxone and implement widespread training on how to use it. The program is credited with saving more than 800 lives. "Everything that we do, I (envision) that patient we're trying to help," Wen said. "When we are trying to address overdoses, I see the patients who have died in my care from overdose—the patients we have tried to resuscitate but couldn't." Wen recently lobbied the state Legislature for a bill that makes naloxone available over the counter; the bill became law. In 2016, Wen's efforts were recognized by President Barack Obama, who asked Wen to join him on a panel discussion about addiction as a public health crisis. "She's fearless, but just being fearless and marching in is just sort of the ticket to admission," said Dr. William Peck, former dean of the Washington University School of Medicine in St. Louis where Wen serves as director of the Center for Health Policy. "The question is can you make a difference, and so far she has been making a difference."